Mrityunjay Singh, PhD, FASM, FACerS, FAAAS, is Chief Scientist at Ohio Aerospace Institute, NASA Glenn Research Center. He is actively involved in various activities related to processing, manufacturing, joining and attachment technologies. 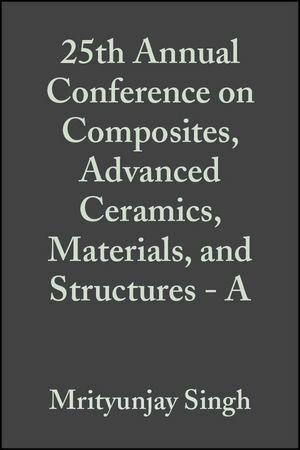 Singh is Academician of World Academy of Ceramics and Governor of Acta Materialia, Inc. He has authored or coauthored more than two hundred thirty publications, edited forty two books/journal volumes, and holds several patents and technology transfers to industries. He is recipient of numerous national and international awards from all over the world including four R&D 100 awards, NASA Public Service Medal, and NASA Exceptional Space Act Award for outstanding and extraordinary contributions to various NASA programs.